The bond between humans and animals brings a joy like no other. As community advocates for the humane treatment of all animals, we work to bring more of this joy to people and pets throughout Tampa Bay. It’s called spreading the humanimality. The Humane Society of Pinellas is a 501(c)3 non-profit organization that has been caring for animals and our community since 1949. Not just an adoption agency, the Humane Society of Pinellas provides life-saving care and services to help keep pets and people together. At the Arizona Humane Society, we strive to show compassion, acceptance and love. Just like the animals we’re here to serve. Dedicated to ending animal homelessness and providing care and comfort for companion animals in need in the Tampa Bay area. Adopted is our Favorite Breed! The Spokane Humane Society is a non-profit animal shelter. If you're looking for a new furry forever friend please consider adopting one! The Olympic Peninsula Humane Society (OPHS) in Port Angeles, WA is an open admission shelter dedicated to maintaining and improving the health and well being of all surrendered, lost, abandoned, neglected and abused companion animals of Clallam County. The Benton-Franklin Humane Society, located in the Tri-Cities area of Washington State, is a private, non-profit organization supported solely by contributions. BFHS is dedicated to preventing cruelty to animals and the creation of a more responsible and humane community. 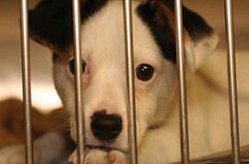 The Humane Society of the United States is the nation’s largest and most effective animal protection organization. We and our affiliates provide hands-on care and services to more than 100,000 animals each year, and we professionalize the field through education and training for local organizations. to ensure the best possible quality of life for animals and to promote respect and reverence for all life.